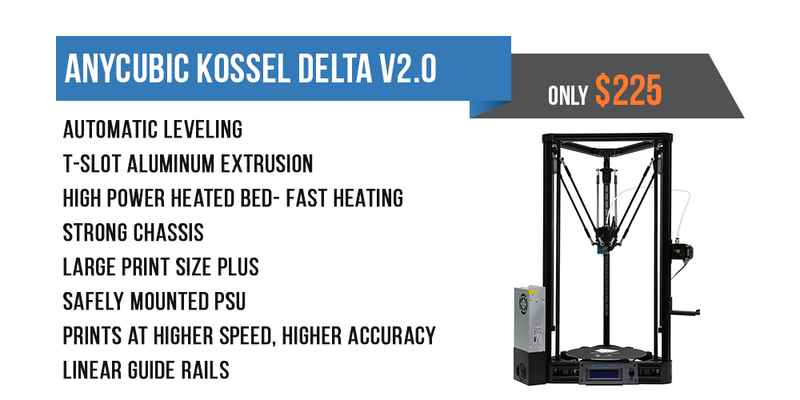 Anycubic’s Kossel Delta series is a well-known line-up of the Delta variant. Aside from FLSUN’s Delta, the Anycubic printers are well-renowned for their capabilities. These machines are composed of quality materials and a competent extruder and hot-bed system. Accuracy is also dead-on with Anycubic’s proven design. Furthermore, Anycubic’s Delta line-up features a linear plus guide version for improved stability at higher print speeds for a larger print size. This product comes unassembled, but comes with up-to-date instructions.